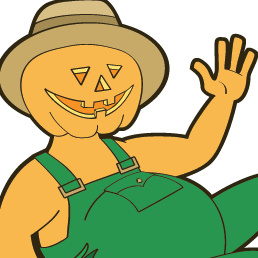 We want you to have a great experience when you visit McNab's Corn Maze & Produce Farm. The information below is here to help you get the most of your trip. Tip #1 – Wear boots! You can expect to get a little bit muddy, especially if it has rained in the past day or so. 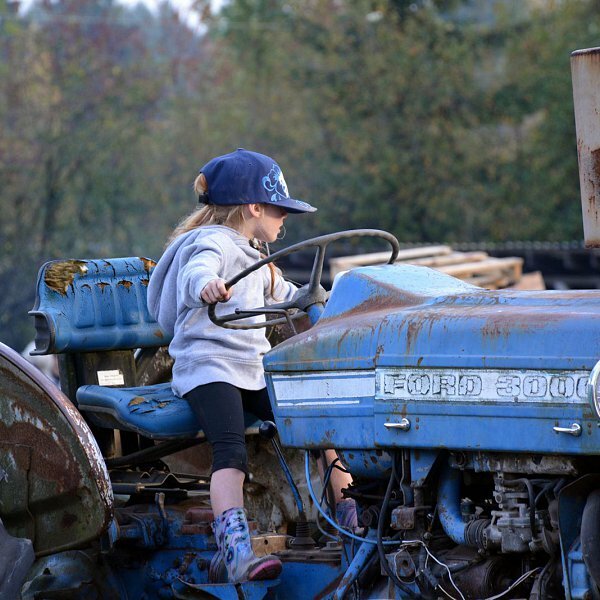 McNab’s Corn Maze & Produce Farm is located at 4613 Yellow Point Road in Yellow Point, BC. The Corn Maze and the Produce Stand are both located at the same address. You'll spot our Produce Stand right away – it's brightly painted and right on the side of the road. There's easy parking next to the Stand, as well as in the field across the street. Tip #2 – Bring water! On hot days it's important to stay hydrated. If it's 25 degress outside, you can expect the corn maze to be closer to 30 degrees. We're a seasonal operation, and different facilities are open at different times of the year. We are always mindful of the safety of our visitors and ask that everyone take extra care when parking at McNab's Corn Maze & Produce Farm. If you are stopping at our roadside Produce Stand we ask that you park with your vehicle completely off of the asphalt. If you are arriving to visit the Corn Maze or Pumpkin Patch, please check to see if parking is available in the lot just off of Yellow Point Road (by the entrance building). If this lot is full, there is additional parking available in a field across the road from our entrance. Additionally, if the weather stays dry, we will be parking vehicles in a field just west of the corn maze (watch for direction signs). Take care if crossing Yellow Point Road, as the speed limit is 60km/h and traffic can be heavy at times. Please take the hand of young children so that they do not dart out from between vehicles. On busy weekends, we have people to direct traffic and assist with parking. We ask that everyone follow their instructions. This is a public road – please treat it as you would have people treat the road in front of your house. We've put together a list of answers to common questions below. And if in doubt, you can always contact us with your questions (or get in touch via our Facebook page). What should I wear to the farm? Can I visit outside of normal hours? Are the Corn Maze pathways paved? Is the Corn Maze open year-round? How tall are the corn stalks? When can I buy a pumpkin? Can I book the farm for a private function? Can I have my wedding at the farm? Depending on the weather (and the weather during the week before you visit), we recommend footwear that you don't mind getting dirty. If it's been really wet outside, bring your gum boots! We welcome groups of 15 people (or more) outside of our normal hours – you just need to contact us to book ahead. No, the pathways are not paved. When you're walking through the Corn Maze, you're walking through an honest-to-goodness field of corn. Remember to bring your boots if it's rained in that past day or two. No, the Corn Maze is only open during the fall, when the corn grows tall. We'll post the exact opening date on the Corn Maze page, but typically the maze is open from late August or early September through to the end of October. Depending on the variety, weather conditions, and irrigation levels, corn stalks can grow to over 15 feet tall. The corn used for our Corn Maze grows to around 7 or 8 feet tall. Pumpkins become ripe starting in September and continuing through October. This season (2016) hayrides to the pumpkin patch begin on Friday, September 30th. We generally do not rent the farm for private functions, but always consider our answer on a case-by-case basis. Please contact us for details. Yes! All group bookings of 10 people or more get a 10% discount off of our standard rates. It's possible! Contact us to see if we're able to help provide a country backdrop to your special day.